In the States, we’re in the midst of the hustle and bustle of a brand new school year. But for our girls in Mozambique, the school year is winding down. Since their school year runs from February to November, all of the girls the Kurandza community supported through the 2017 #IStandForGirls campaign are close to being finished with their school year - their first one ever for many of them! Thanks to your support, we sent over 100 girls of all ages to school, and today, we want to introduce you to the youngest of our schoolgirls: the pre-schoolers. As you might remember, our pre-school was in desperate need of a facelift. This year, our goal was to remodel the building with a fresh coat of paint and also build a brand new dormitory for our girls to nap in. They’re currently napping in the same room where they eat, next to the kitchen, which is less than ideal for well-rested pre-schoolers! 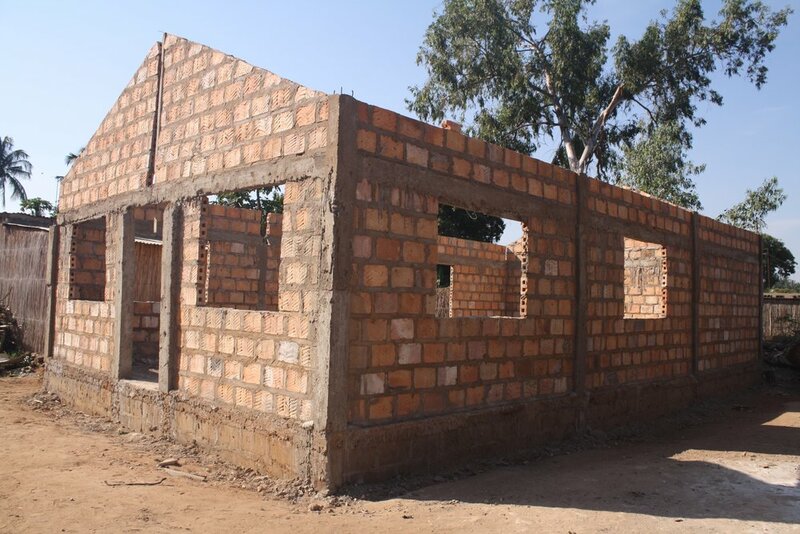 We’re thrilled to say that our pre-school project has been fully funded, construction has begun on the dormitory, and the classrooms have been freshly painted, just in time for next year’s students. Our girls are so excited and, in celebration, we want to introduce you to a few of them so you know a little bit more about the kids you’re helping send to school. Although we have girls of all ages, from pre-school to highschool, in our three partner schools, the pre-school is one of the most important projects. These girls are still in very important phases of their development and many have been rescued out of very hard and scary situations through the support of the #IStandForGirls campaign. Their lives have a brighter future and it’s all thanks to your help! Angela was abandoned by her father and living only with her mother. Attending pre-school has allowed her to receive the attention and care any three-year-old needs to thrive and learn. Her teachers have seen tremendous improvement in her behavior and development since starting school this year. Since we surpassed our goal of sending 100 girls to school, we were able to help a few boys in the village who were orphaned and vulnerable by sending them to school too! Walter is one of our sweet boys in pre-school and, despite some troubles in the beginning of the year with focusing and learning retention, Walter’s teachers can’t brag enough about how far he’s come. These are only three of our 12 pre-schoolers, but each one has an equally powerful story. When choosing which children to sponsor, our local Kurandza team looked for the most vulnerable children with only one parent or orphaned, who were showing signs of abuse, mental illness, or were homeless. With the funds brought in by our sponsors, our team picked them to receive the care and education that they otherwise would never receive. Studies show that the first 4 years of a child’s life are some of the most important for development and growth, and without the proper care, children aren’t set up for the kind of bright future they should be able to dream about having. Through the #IStandForGirls campaign, you’ve changed the lives of these kids - some who were too young to fully understand the implications of their education - forever. Our second #IStandForGirls campaign begins runs throughout the month of September, and instead of 100 girls, our goal is to more than double what we did last year. Are you in? Sign up to sponsor the education of a girl and make an even bigger impact.